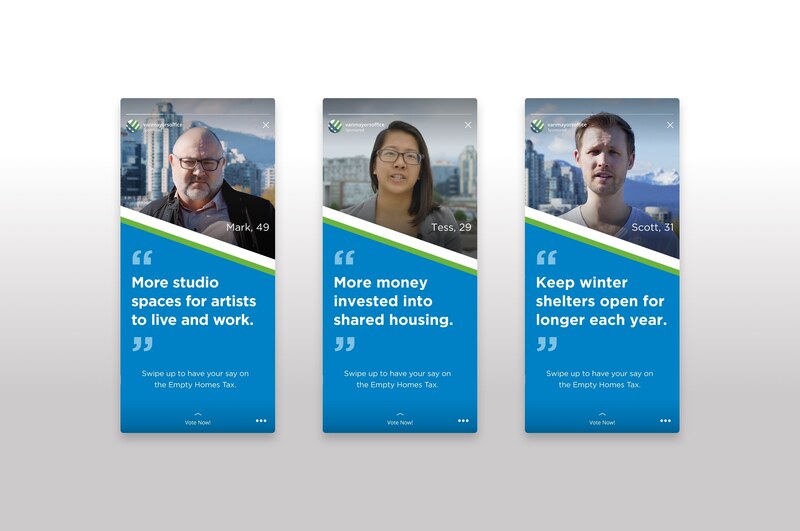 With millions of dollars generated from the Empty Homes Tax, The City of Vancouver were looking for ways to invest back into the affordable housing community. 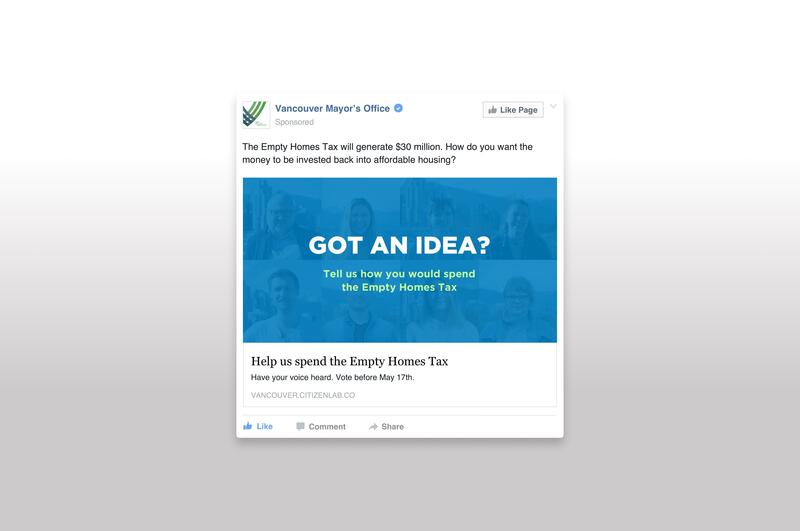 They needed Vancouver's help to decide where the revenue would be best spent. 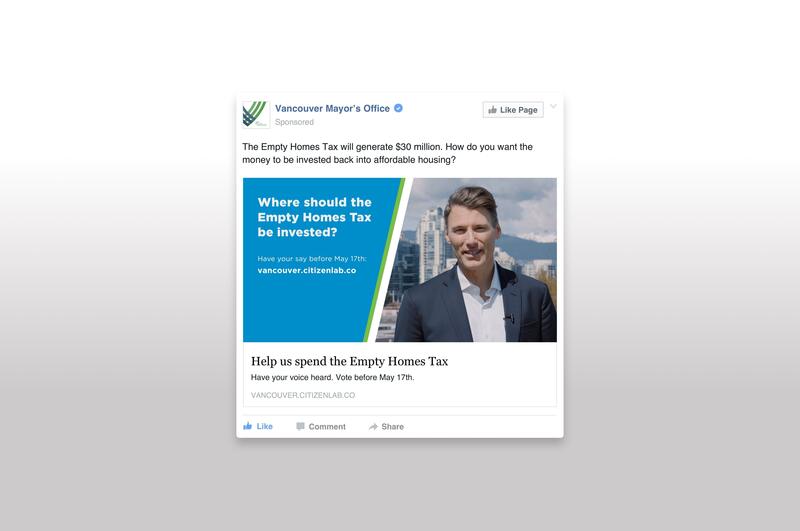 With the Empty Homes Tax receiving mixed opinion across the City, it was paramount to deliver a campaign that connected with residents and offer them an opportunity to be heard. We invited Vancouverites of all ages to an open call video shoot where they could offer suggestions on where to spend the money. The campaign had over 708,000 impressions and evolved into an important talking point throughout the City. Rigorous tests and optimization for retargeting resulted in increased views by 19% and increased clicks by 64%. The campaign reached 224,640 people, with 30,832 people taking action. The average clickthrough rate was 1.11%, above the industry average of 0.99%.